"It's awesome. 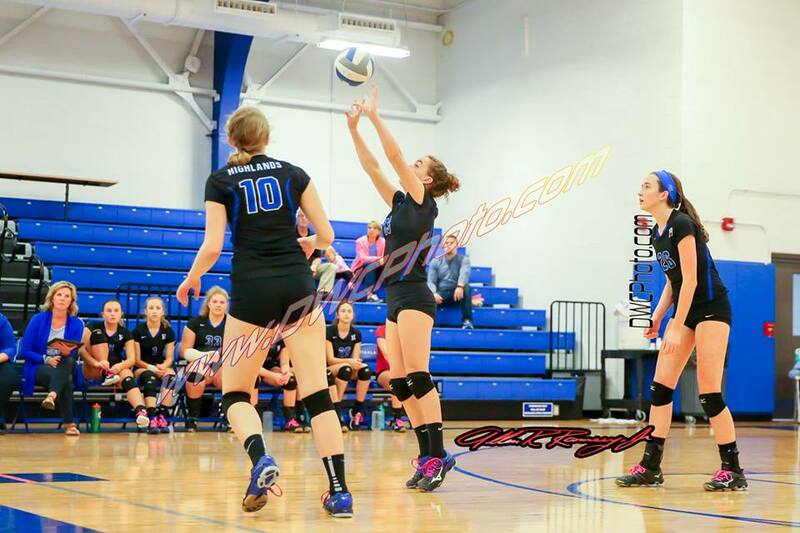 No (Highlands team) has come this far in so long," said Maddie McCoy, Highlands senior outside/right side hitter. "None of the seniors were ready to be done this season. I think it was really fun how we all put it together, persevered and got the W. It's really a good feeling." Highlands won two 10th Region games in 2010. The Bluebirds beat Bishop Brossart, 2-0 (25-21, 25-21) in the region quarterfinals that year and host Harrison County, 2-0 (25-7, 25-15) in the region semifinals before losing 2-0 (25-15, 25-15) to Newport Central Catholic in the region championship. "It was awesome," said Colleen Dunn, Highlands Assistant Coach. "The girls knew what they had to do. They came out and they executed." 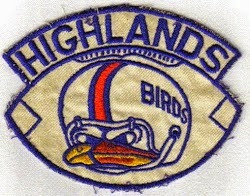 The Bluebirds won without their head coach on the sidelines. Fourth-year Head Coach Katelyn Sallee gave berth to her third child Saturday evening. "We were communicating with her a little bit through texting," Dunn said. "She called after the fourth set just to talk to a couple of our players just to motivate them a little bit, get them focused to where it needed to be. That's the age of technology we benefit from." Tremendous ball movement gave Highlands the first two games. It again started with nice serving as Ava Hockney, Margot Seidel and Audrey Graves had three aces each. The Bluebirds have consistently dug up nice balls all season and senior Gracie Schweitzer recorded 31 to lead the way. Casey Dunn and Olivia Gessner followed with 17 and 16 respectively with Seidel making 12. Then the finishes started with Graves. She recorded another stellar game with 55 as Highlands dominated the net. Dunn had 23 kills with Seidel and Hockney recording 17 and 13 each. Hockney and Seidel had four and three blocks each. Senior Joy Kappesser even got in on the act with two kills and a block. "I think we really had our hearts set on winning this game," Hockney said. "We made sure to look at the match-ups on the net. If they had a huge block, we tried to hit around it and we aimed for deep corners, which really helped." After missing out on putting the game away in the second game, Highlands quickly re-established that dominance at the net as Seidel and Dunn recorded kills and Seidel had an ace. A Hockney block kill gave Highlands a 7-3 lead and prompted a Dixie Heights time-out. "I think we just got a little comfortable with their hitting," McCoy said. "We thought we could handle (their hitting). They set their best players more and we didn't expect it as much. We needed to get uncomfortable to play better." Highlands went up 9-3 before Hockney and Seidel had kills to make it 11-5 and Graves landed an ace prompting another Dixie Heights time-out. Dun then landed two kills and Hockney had another one to end the game. Dixie Heights also had balance. The likes of sophomore Irene Wogenstahl and junior Leah Metzger put the Lady Colonels back in the game. Highlands has the daunting task of facing Notre Dame (27-9) in the region semifinals on Wednesday at 6:30 p.m. back at Holmes. The Pandas eliminated Cooper, 3-0 (25-12, 25-15, 25-18) in the second game Monday. "We're excited," Coach Dunn said. "We haven't seen Notre Dame during the regular season or in tournaments. We're looking forward to facing them." Notre Dame has won six straight region crowns. The Pandas have eight state championships, but none since 1994.